The multinational tecnology company Google wanted something that was at its company's level, but in marquees. 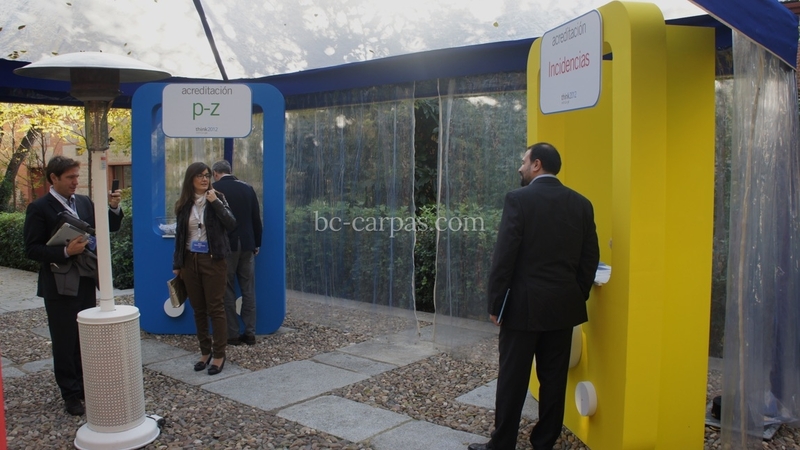 For this reason, BC Carpas marquees were chosen because it offered what is required by companies that compete globally at the highest level. 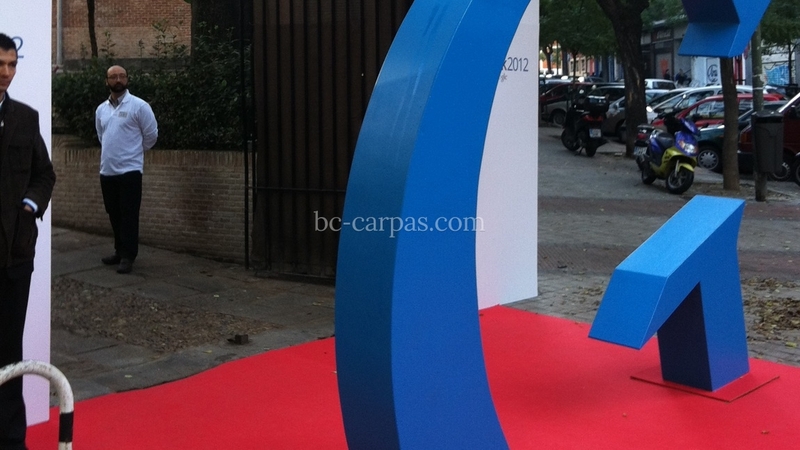 For this occasion, BC Carpas opted for some of the colours that inspire the search engine. Between the marquee's transparency, together with the electric blue of our marquee that covered the entire structure and the furniture provided by the client, an original space was achieved so that all the attendees enjoyed this day as if they were at Mountain View HQ. 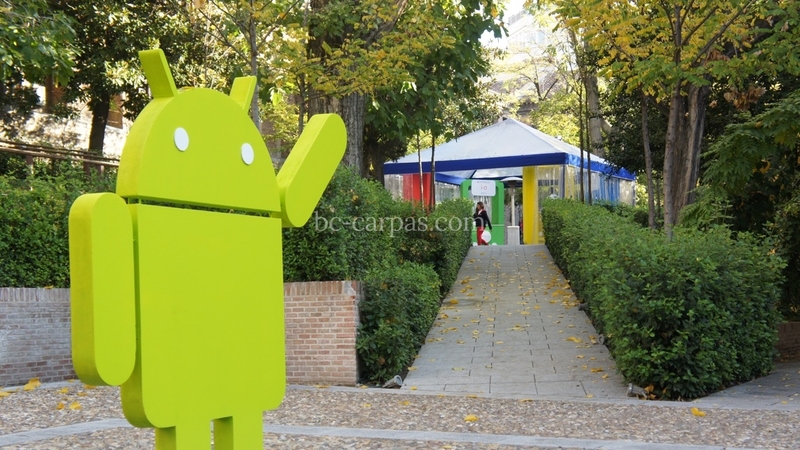 The famous Google Android doll can be seen on the left and in the background the colour of the marquee installed for this global event. 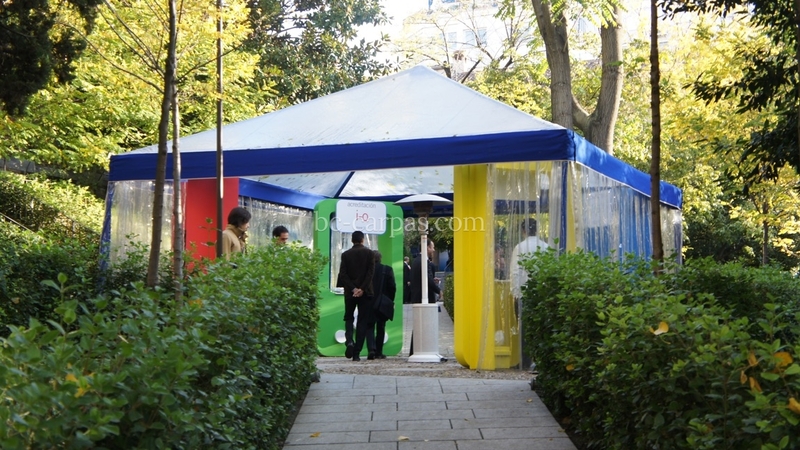 Closer image of the marquee for the event attended by Smartphone application developers. Under the marquee, one of the images with the first attendees at the technology event, where one of our marquees took pride of place. Entrance to the enclosure where the Google technology event was going to be held. The large logo above a red carpet can be seen in the photo.